If you have a daughter between the ages of 8 and 12, you may have noticed that it is becoming increasingly difficult to find appropriate clothing for her. My 8-year-old is most definitely still a little girl. She is not a small adult. I would prefer her to dress like a little girl in clothes that provide appropriate coverage and allow for the freedom of movement needed for active play. Toward that end I spent a weekend sewing up some sweet summer play dresses for Miss M.
This is the Flower Hexagon dress from Ottobre 3/2013 (pattern #16). I made it of some beautiful vintage cotton printed with roses in size 128, but cut the length to 146 because Ottobre dresses tend to run a bit too short for my tastes. It has hidden pockets in the side seams! 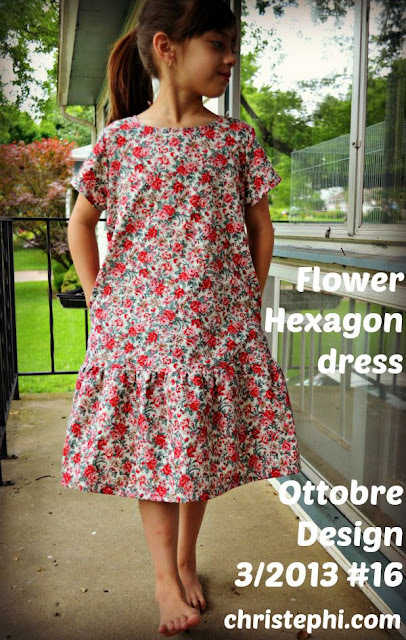 The second dress I made is also from Ottobre. 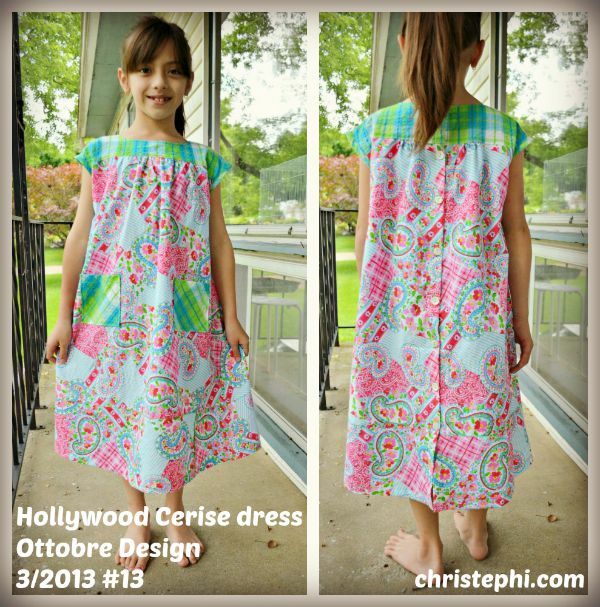 This is 3/2013 #13, the Hollywood Cerise dress. I didn't have enough of the fun paisley patchwork print to manage the whole dress, so I scrounged up some contrasting plaid seersucker. I love the combo! There are patch pockets on the front and mismatched buttons from my vintage button collection all the way up the back. These two dresses are long, cool, and airy. Miss M loves them! Even better, come fall she will be able to layer these over leggings, boots, and a long sleeved tee!